As much as I love so many old black and white movies and films, there is something significant missing in all of them – true-to-life color. It doesn’t really bother me, and I feel no disconnect with the stories because of it, but when a really amazing outfit is spotted…well, I am racked by the mystery of what that garments must have looked like in reality. 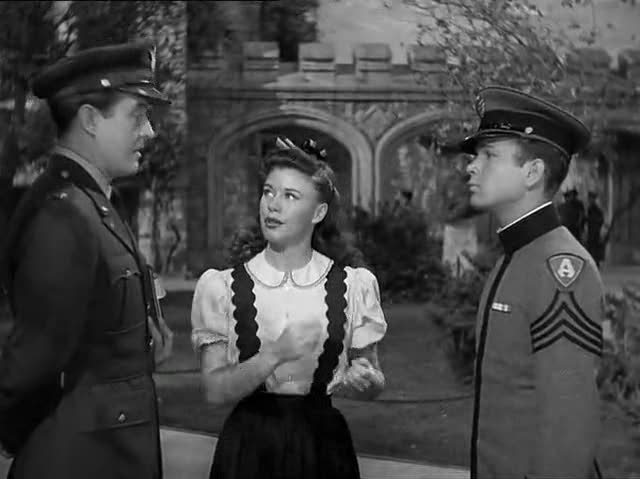 I have a suspicion this curiosity of mine is a major factor to why I am so drawn to the movie “Leave Her to Heaven”, from 1945. Yes, the tale also has an eerie way of getting under the skin and staying in the mind from the excellent acting of a disturbingly intriguing storyline, but the outfits are spectacular – and all filmed in full color! I’ve already ‘copied’ one lumberjack shirt worn in the movie (post here). 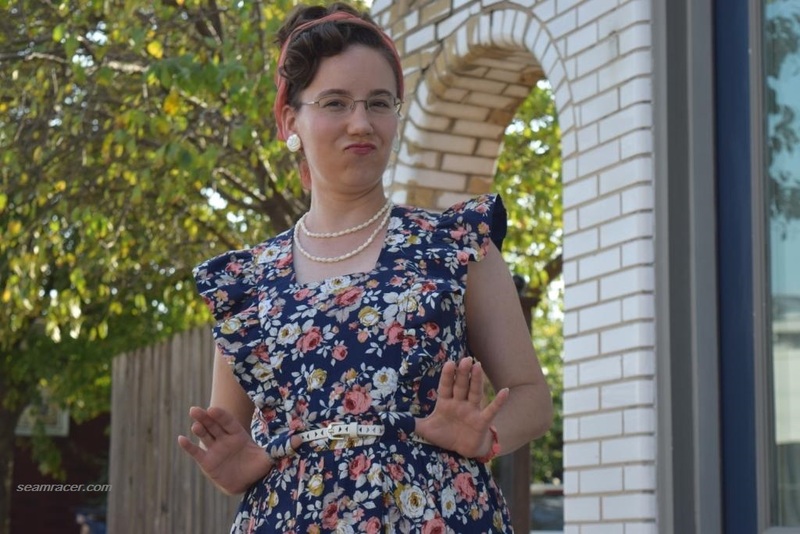 Thus, it was not like I was actively wanting to make another outfit from the same movie so soon, but when the right fabric happens to come along and fall right under your eyes…well, I couldn’t resist! 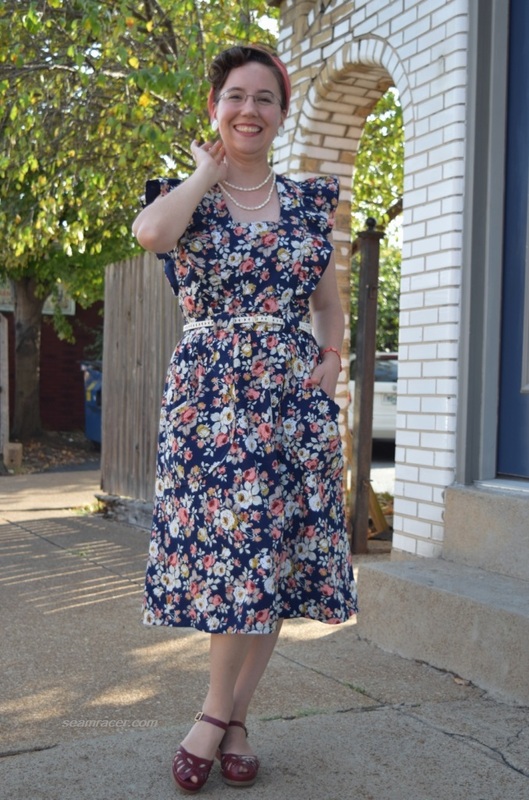 Besides, if I can channel vintage Hollywood with my casual wear (and I can always use more casual wear) and not just fancy stuff, I’m all in! I do love a good blouse and the color pink. 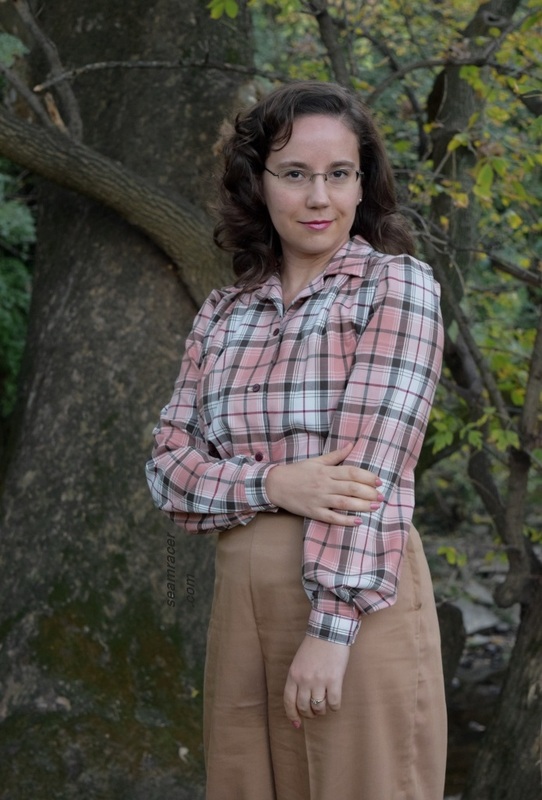 So here is a short and sweet post about my second lumberjack shirt from “Leave Her to Heaven”. 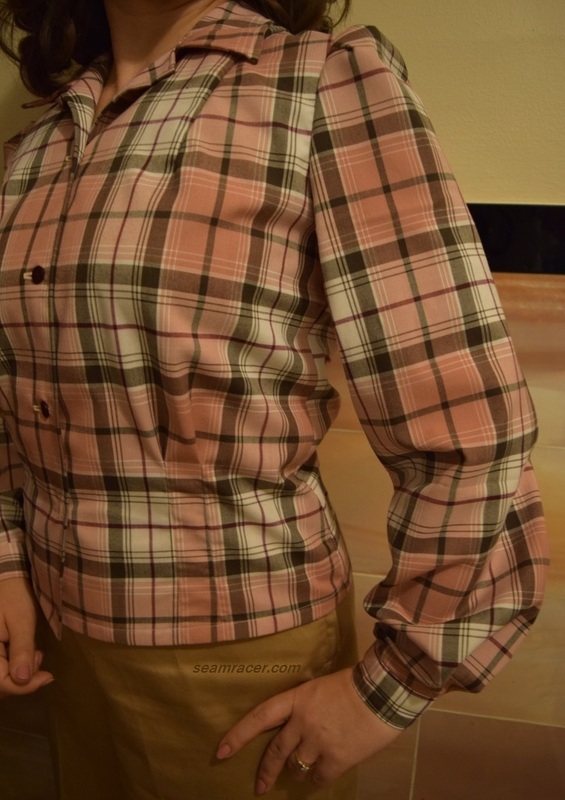 Now, my first plaid blouse from that movie was a copy of one worn by the main actress, Gene Tierney. 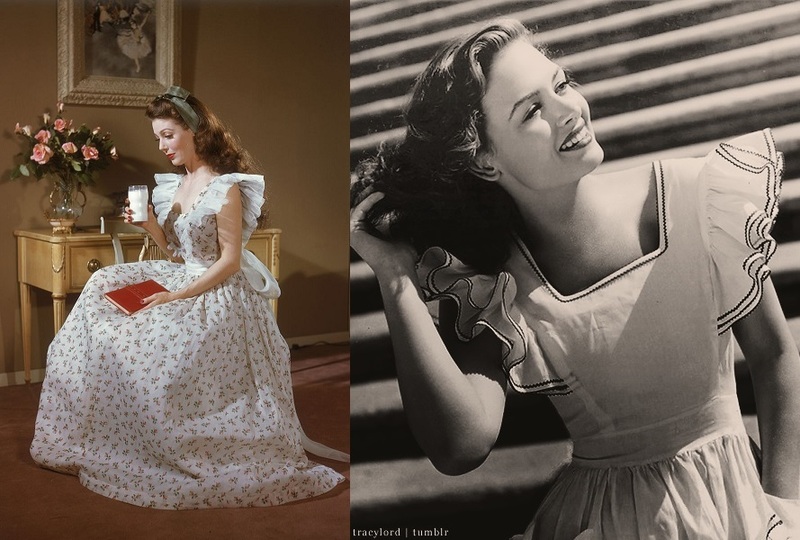 This one that I am showing in this post had been worn by the “sister” in the movie, an equally beautiful and amazing actress Jeanne Crain, so it did not get as much screen time. 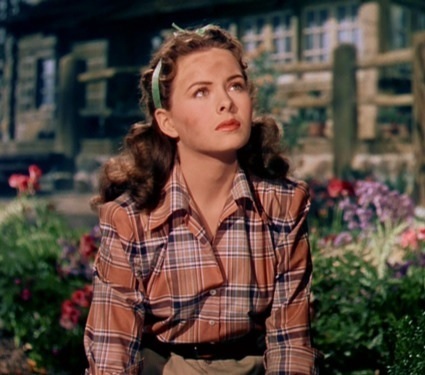 Jeanne Crain wore it to do the gardening (see pic at left). 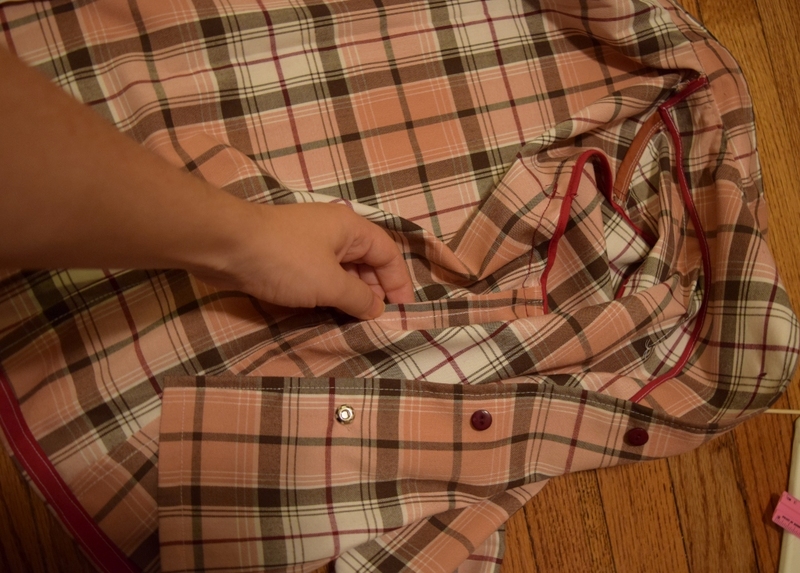 My version is slightly dressier I suppose from the nice shirting material I used, rather than utilitarian flannel cotton like I used for my last lumberjack blouse. 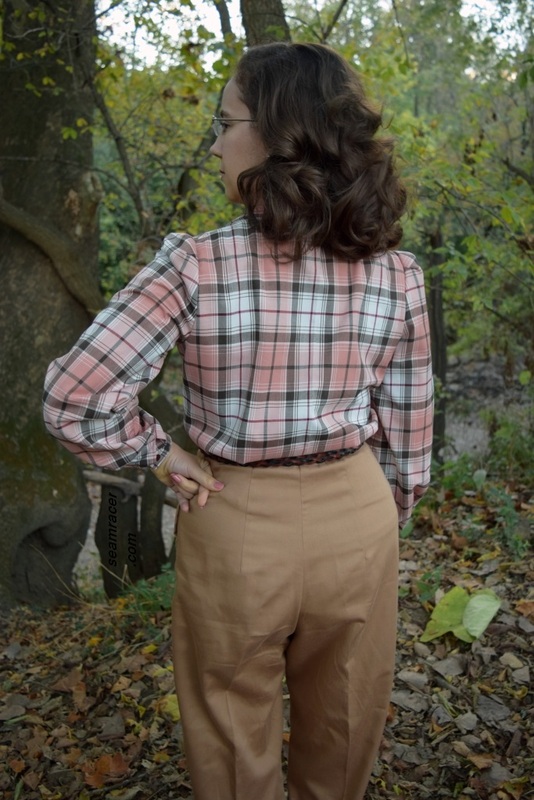 Still, the mixed color plaid will hide any stains quite well and the fabric is pretty much wrinkle-free, so this is still a perfect casual day or outdoor work blouse which will still look so impeccable. I love it! This is why I make my own clothes. 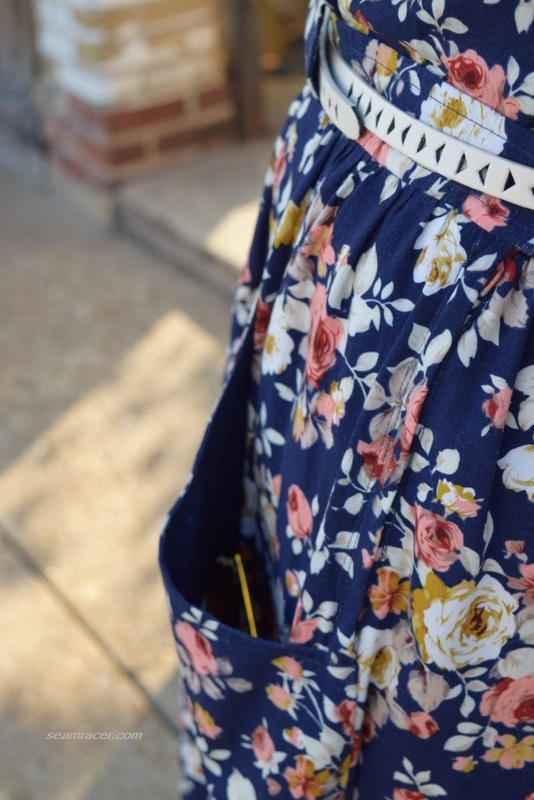 NOTIONS: Except for the thread and interfacing, which was modern and on hand, I used vintage notions. The buttons are true vintage bakelite from hubby’s Grandma in a rich burgundy and the bottom snap was from my Grandma’s box of notions. TIME TO COMPLETE: This was made in about 15 hours and finished on October 22, 2017. TOTAL COST: This was bought at JoAnn’s at about $15 for just over 2 yards. This was such an easy-to-make project. I have made both patterns before, after all! 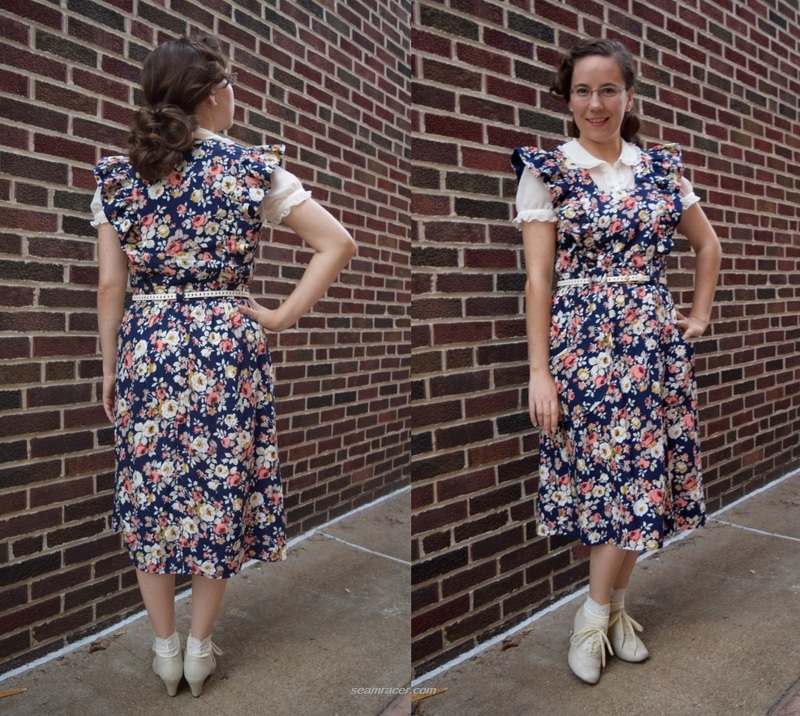 I chose the vintage Simplicity because I like the collar and body shape…and it fits me perfectly. It had already been used to make a basic brown long-sleeved winter separate to complete this suit. There will be a third, solid color, dressy version coming in a few months, as well! 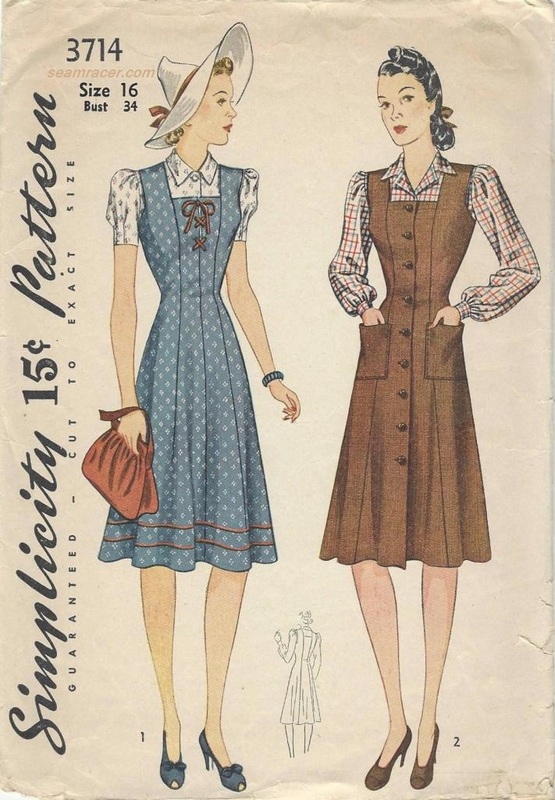 Different sleeves were chosen out of the pinafore set for this blouse version because firstly, it is from the same year (1941) and I wanted the arms of this plaid blouse to be more structured, masculine, and simplified. 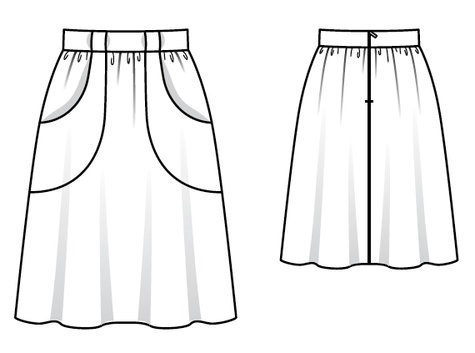 The sleeve caps are a trio of darts and the wrist (above the cuffs) was adapted to have pleats, in a trio as well, versus having everything poufy and gathered as the Simplicity pattern called for. 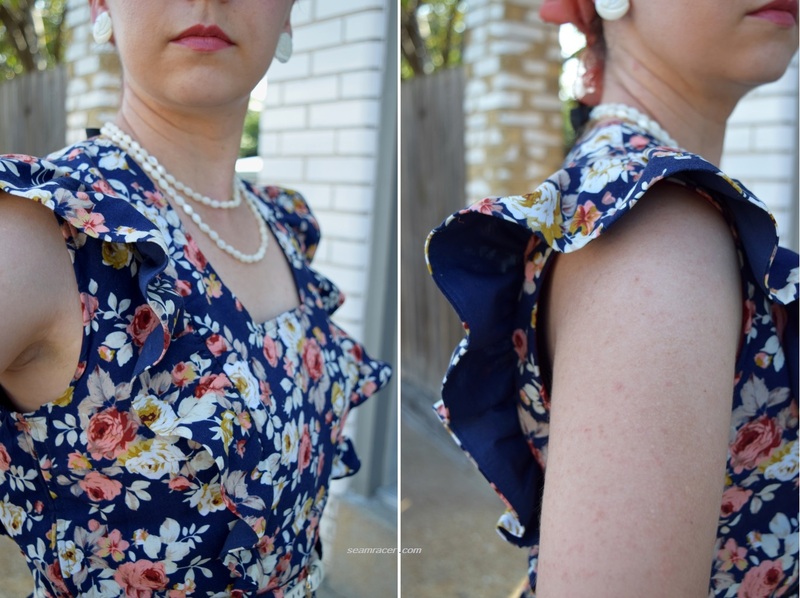 The blouse sleeves and their cuffs are the only thing left to that Advance pattern besides the pinafore (which I posted here). 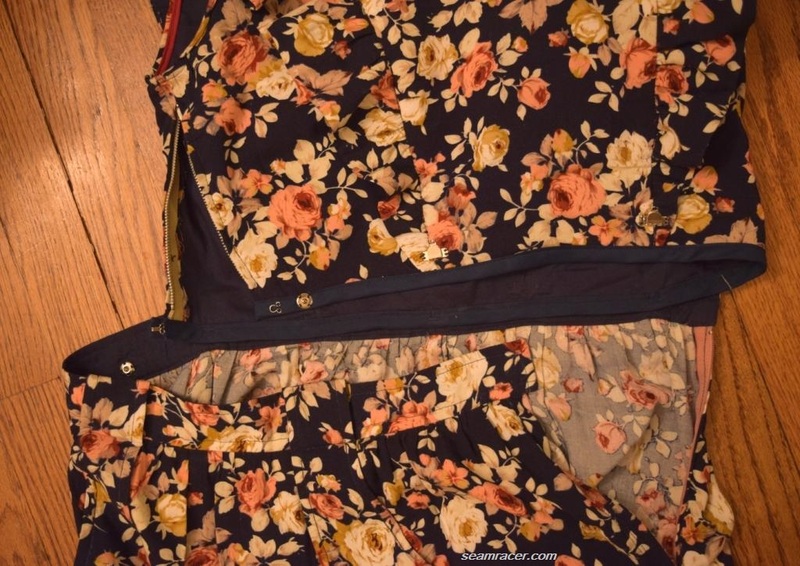 For some reason the blouse body was not in the envelope when I got it (that’s okay…it was only $3). The two patterns matched up like they were made for one another. With this version, I found greater appreciation for the pattern because the plaid brought out the design lines. 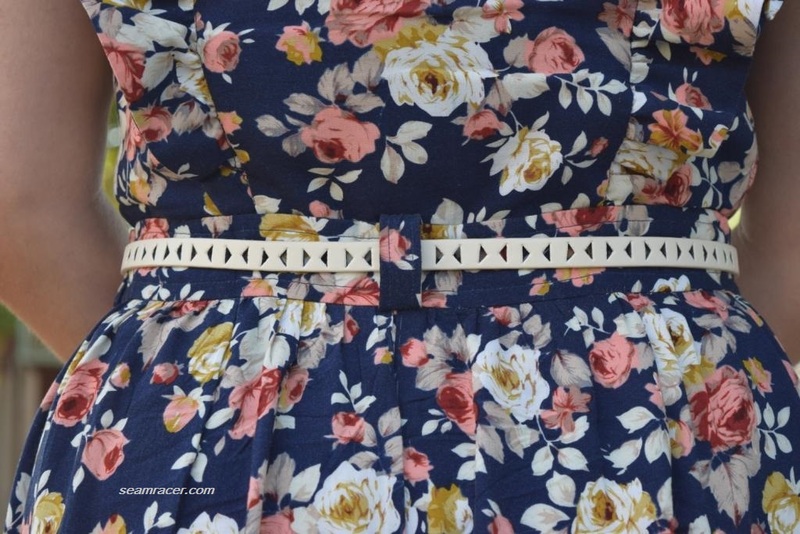 I wasn’t really trying to match up anything too much, mostly the side seams. 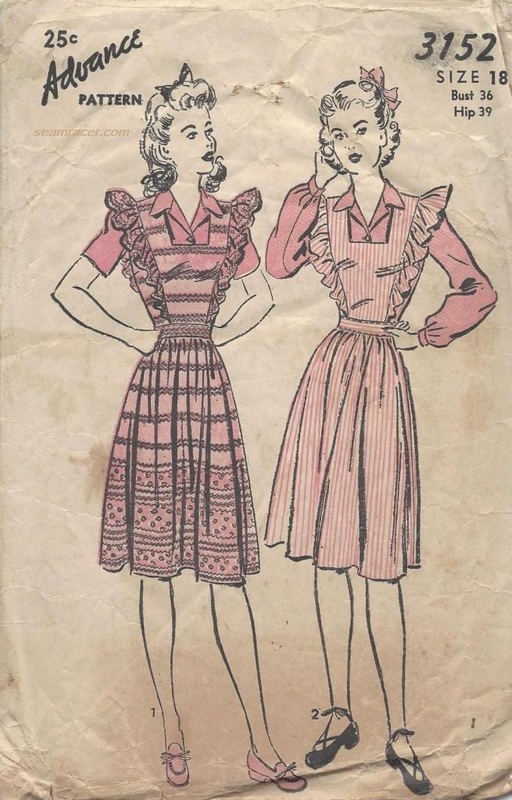 I remember being conscious in passing that the plaid was passing through the waist tucks and shoulder darts. The finished effect is best when my blouse it untucked. 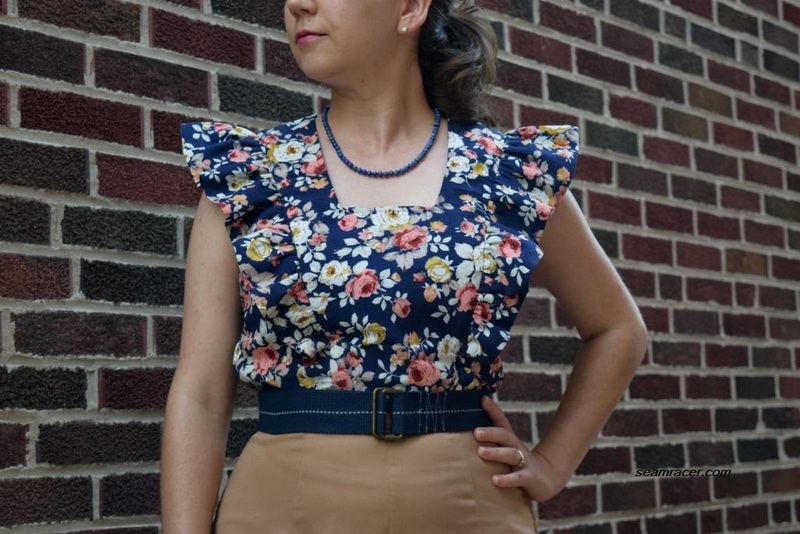 This blouse goes with so much in my wardrobe – anything brown, tan, or maroon, which I have plenty of in both trouser and skirt forms. 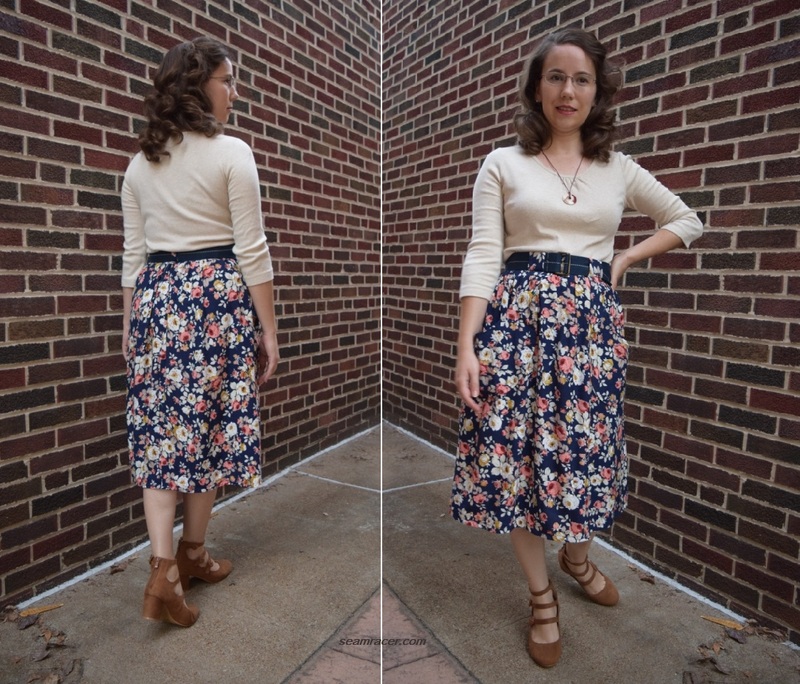 In these pictures, I am wearing it with my post WWII cuffed twill khaki pants (blogged here). I do love how the bakelite buttons bring out the undertones to the plaid, complement the pink in a very unexpectedly bold manner, and make it work for rich red tones as well. Such special buttons deserve to be seen and standout, anyway! 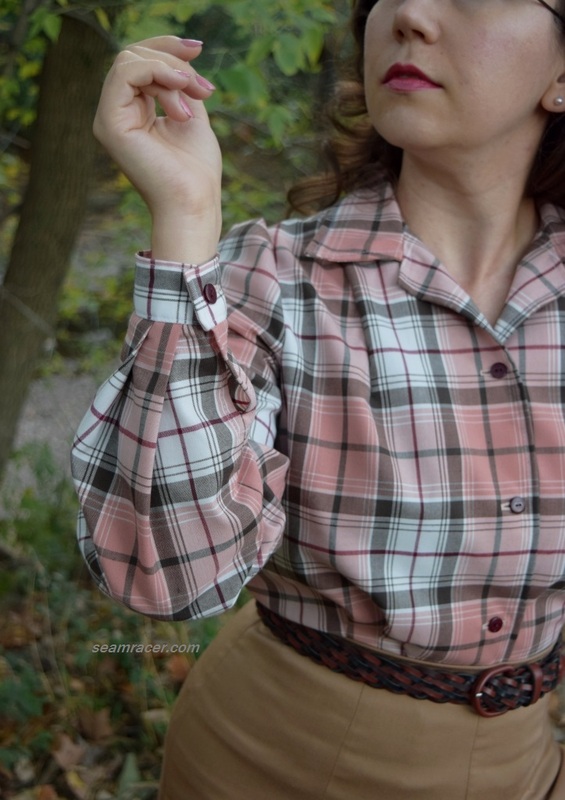 As my blouse is a ‘copy’ attempt from a movie, this is my first entry into the “Sewing the Scene” challenge sponsored by the “Unfinished Seamstress”. I had meant to make it in time for last years’ same challenge, but I ran out of time making this outfit for it. I went ahead and made my blouse later on in the year anyway so I could get some use out of it through our cold season and am posting it now. It’s a challenge for sewing bloggers to get their priorities lined up when juggling a lot in life (don’t I know!). I make sure to have thoroughly enjoyed an outfit before I even write a word about it. Sometimes some outfits are so loved I don’t exactly get around to posting about them like I want because I am too busy enjoying them – but that is a good thing! Life can get in the way of sewing plans, but at the same time, both life and sewing is best when it is a joy and not a chore.